What is fun to play and involves intergalactic demons? 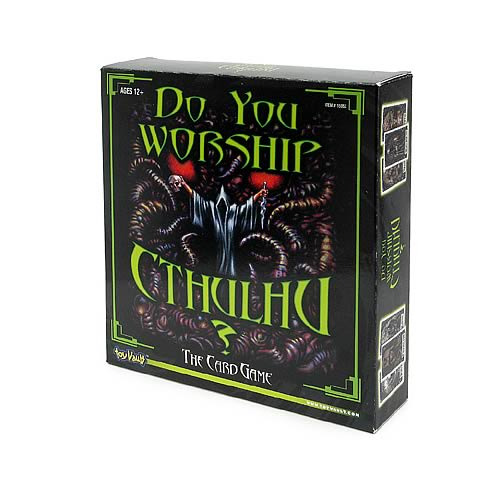 Why, it's the Do You Worship Cthulhu Card Game! This is a highly entertaining party activity for 5 to 30 players, the rules of which can be learned in less than 3 minutes. One person acts as moderator, overseeing a village of people, one or more of whom are secretly Cthulhu worshippers. These devoted subjects proceed to sacrifice their fellow villagers, one by one. Deceive your friends, lie through your teeth, and experience the excitement of a truly unique game!